RIM Announces the BlackBerry Bold 9780 Smartphone! FINALLY!!! For soooooo many of us traditional BlackBerry users out there, this is the new device from Research In Motion that we have been waiting for. 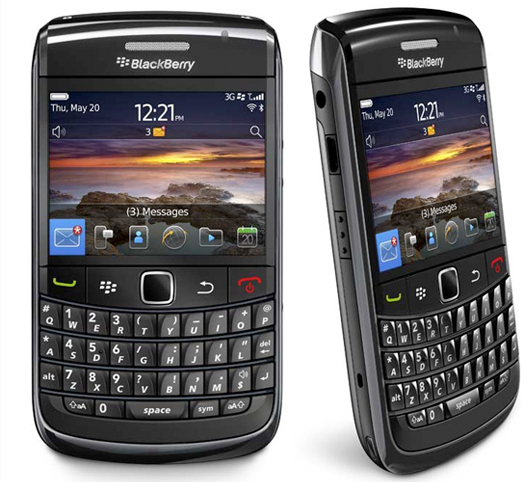 Today RIM has officially announced the BlackBerry Bold 9780, the GSM successor to the popular BlackBerry Bold 9700. Compared to the 9700, the 9780 doubles up its internal flash memory to 512MB, gets the new 5 megapixel camera that's already found in the Torch and Style, and ships with BlackBerry 6 out of the box. As for the BIG question of WHEN CAN I GET ONE? the good news is it'll start launching on carriers around the world next month. Read the press release below and keep it locked to CrackBerry for more! Carrier Updates: T-Mobile has announced a November 12th launch date at $129.99 on a two year contract. As expected, Rogers and TELUS have now also both confirmed release but no availability or pricing available for those two. Bell and Virgin Mobile users, November 2nd release date with pricing set to $139.99 on 3yr contracts. WATERLOO, ONTARIO--(Marketwire - Oct. 27, 2010) - Research In Motion (RIM) (NASDAQ:RIMM)(TSX:RIM) today introduced the BlackBerry Bold 9780 smartphone - the newest addition to the BlackBerry Bold series of smartphones. Featuring a premium and iconic design with an incredibly easy-to-use keyboard and optical trackpad, the BlackBerry Bold 9780 is elegantly styled and packed with advanced communications and multimedia features. It is also the first BlackBerry Bold smartphone to come with the new BlackBerry 6 operating system. "We are very excited to introduce the BlackBerry Bold 9780 featuring the new BlackBerry 6 operating system," said Carlo Chiarello, Vice President, Product Management at Research In Motion. "This new model builds on the highly refined mobile experience that BlackBerry Bold users already know and love and delivers a wide range of enhancements including a rich new user interface, a fast and powerful WebKit-based browser, broadly improved communications and multimedia capabilities, an incredibly useful Universal Search feature and a high quality 5MP camera." BlackBerry 6 is a new operating system that retains the familiar and trusted features that distinguish the BlackBerry brand while delivering a fresh, approachable and engaging experience that's powerful and easy to use. It integrates a new and rich WebKit-based browser that renders HTML web pages quickly and beautifully for a great browsing experience. The browser offers fluid navigation using the handset's optical trackpad, includes tabs for accessing multiple sites simultaneously and provides a zoom feature that can intelligently auto-wrap text in a column while maintaining the placement of a page's key elements for easier viewing.